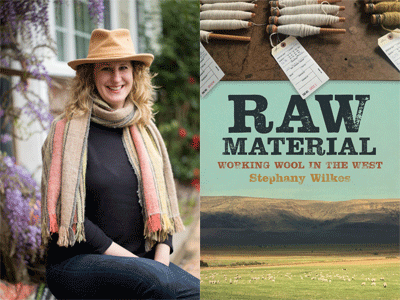 Stephany Wilkes, certified sheep shearer and president of the Northern California Fibershed Cooperative, discusses her fascinating and unique memoir, Raw Material: Working Wool in the West. Follow a sweater with an "Italian Merino" label back far enough and chances are its life began not in Milan, but in Montana. Many people want to look behind the label and know where their clothes come from, but the textile supply chain-one of the most toxic on the planet-remains largely invisible. In Raw Material, Stephany Wilkes tells the story of American wool through her own journey to becoming a certified sheep shearer.